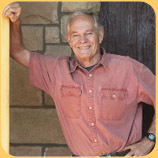 Melville who left the business world to grow grapes in Sonoma’s Knights Valley area, leaving again nearly 30 years ago for north Santa Barbara County to pursue perfection in pinot noir and cool-climate chardonnay. 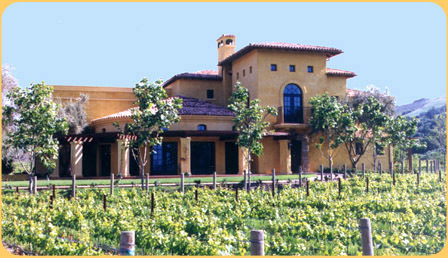 For years, the Melville Winery has been a staple among the many good wine makers in the prestigious Santa Rita Hills appellation near Lompoc. With the understanding that everything evolves, now seemed to be a good time to re-visit the winery for an update. 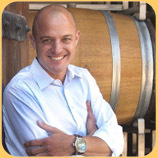 production Brewer-Clifton Wines. The collaboration has enjoyed sustained success that they credit to their desire to maintain small production values as the business grows. 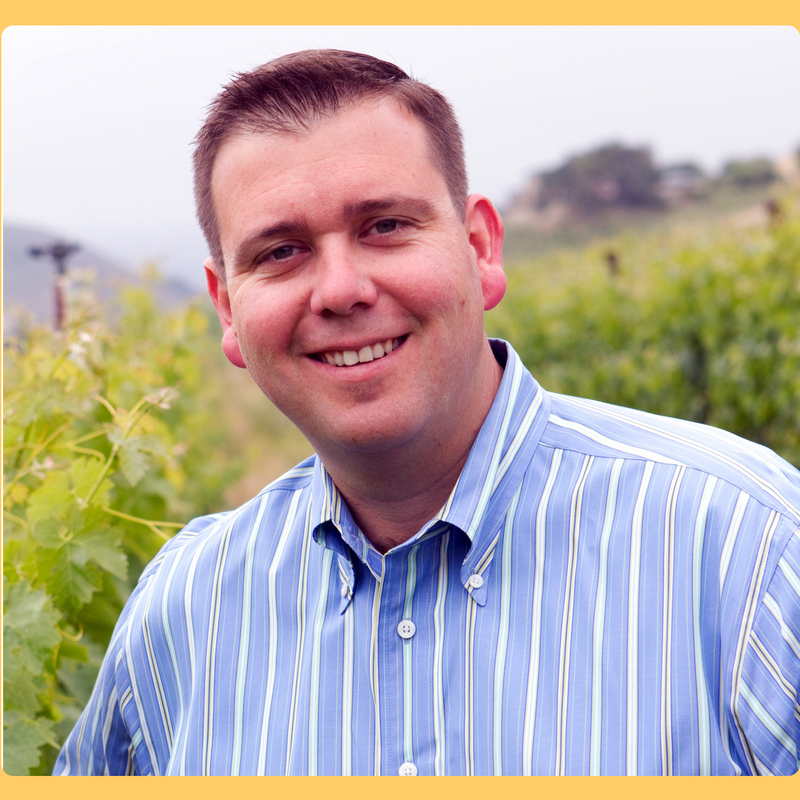 As I sat down with General Manager Kurt Ammann to hear the Melville story, he stressed their efforts to ”stay in touch” with the wine. One expression of this value is Brewer’s insistence on personally hand-pressing all juice at the early stages of fermentation, something that requires a seven-day work week during harvest season. Our discussion also focused on three basic techniques or philosophies that best identify Melville: 1. Longer maceration periods, 2. Balancing whole-cluster fermentation vs. di-stemming and 3. No new oak in any wines. Although not unique to winemaking, here they are part of a conscientious effort to maintain intimacy and achieve a natural purity in their wines. Whole cluster fermentation leaves the grape cluster intact, stems and all, while di-stemming frees only the individual grape for the crusher. Melville believes that stems can add to the flavor of the wine and manage a balanced whole-cluster vs. di-stemming approach in their profile. One example is the 2012 Melville Estate Pinot Noir($36) which uses grapes from all clones, 40% of them whole-cluster that adds an earthiness or “forest floor” element to the flavor of the wine. I also found this wine to be wonderfully aromatic with a hint of vanilla in a classic pinot noir bouquet. Maceration describes the process of exposing the primary juice to the grape skins. It affects the color of the wine, adds tannins and enhances the aroma. The impacts of maceration are best illustrated in a rose’ wine beginning with regular grapes that, with very limited skin exposure, evolve with pale colors, subdued aromas and are very drinkable at release. Melville chooses longer maceration periods for their juice, seeking balanced, age-worthy wines with depth. Another unique attribute of Melville is that they use no (zero) new oak in any of their wines. All of their oak barrels are two years or older. I recently met a winemaker who produced one “zero” pinot noir, but here it is inclusive to all wines. The flavors of these wines are controlled solely by the terroir and the conviction that a “hands-on” approach can create flavors naturally. Due west of the winery is a row of large, mature poplar trees that shield outdoor tasters and picnickers, and much of the vineyards from the afternoon winds. The westerly vineyard clones thrive without their protection which secures the role of the poplar trees as a major factor in defining the different microclimates at Melville. From the westerly side, Block M sits upon a mesa of clay loam soil that receives both strong wind and sun. 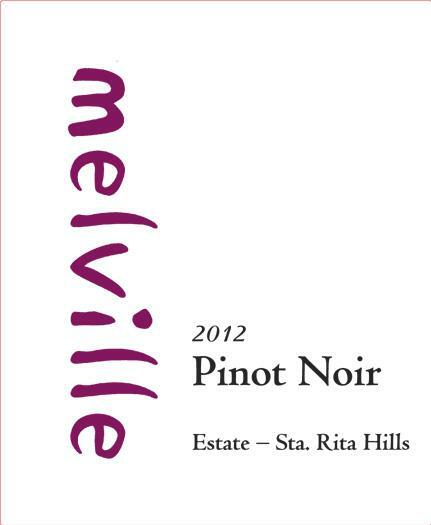 From some of the finest clones on the westside, the 2012 Melville Estate Pinot Noir Block M ($56), consisting of 80% whole-clustered grapes, is an exceptionally well-structured wine with a creamy mouthfeel and balanced flavors. The “Block M” is aromatic; slightly floral with spice and the flavors are concentrated and lengthy, good traits for aging. the benefits of each, principally when paired with food. Melville presents a new twist, differentiating stainless steel from bland, neutral oak only. The “no new oak” 2012 Melville Estate Chardonnay ($26) expressed a nice Burgundian minerality followed by balanced citrus, tropical fruit, melon flavors and a very soft finish. balancing the flavors, oxygen tends to restrict aromas which explains why this wine has such a striking bouquet of ripened melon. The “Inox” is chardonnay in its purist from. Hand-selected grapes are cold-fermented in small stainless steel tanks to retard any natural malolactic fermentation, yet still enhance the natural fruit flavors. There are floral hints and a creamy texture on the palate with a nice finish. This wine’s 90-point ratings are well-deserved and I had to take a bottle home. Cooler temperatures in the Santa Rita Hills appellation extends the growing season, at times, into November, allowing the grapes to fully ripen. Aside from well-known calcareous soils, the natural sand along with the distinctive fog produce grapes that can literally be pressed into wines with fully balanced flavors and acidity. Differences between cool-climate and warm-climate wines are very evident with the syrah grape, expressing higher acid and lower alcohol when temperatures cool and the opposite when they rise. The spice, peppery profile of syrah is most evident in the cooler microclimates of the Santa Rita Hills. Such is true of the next wine in our tasting. The 2012 Melville Estate Syrah ($32), fermented in neutral oak barrels, is wonderfully balanced with spice and floral hints present from the nose through the palate. Initially drawn to its deep, dark color, the multiple flavors and heavy texture intensify the complexity of the wine. Syrah from this region begs comparison with the fine Northern Rhone releases. For me, the initial appeal of Melville Winery is their focus on Burgundian and Rhone varietals produced from 14 pinot noir clones, nine syrah and six chardonnay. A closer look reveals a group that has a philosophy and commitment to making pure, distinctive wines that rely on nurturing the juice with “old school” processes and wonderful terroir. For me, enjoying these varietals sans new oak was a unique experience, one that I will always identify with Melville wines. setting for tasting their wines and picnic areas are available for those who choose to bring a lunch. 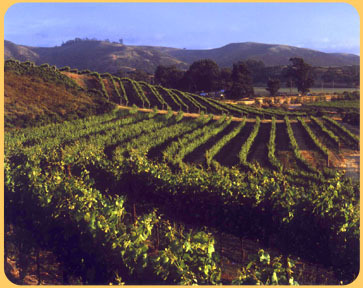 Other wineries along this route include Foley Estate and Babcock, while adventuring a bit further into Lompoc, one can discover Fiddlehead Cellars, Loring Wine Company, Ampelos Cellars and other worthy wine makers. Investing more time will “open up” additional wineries along the parallel Santa Rosa Road at the southern part of the appellation. The appellations of Santa Barbara County are “at the table” with our State’s best wine regions and we are all fortunate to have them at our fingertips. This entry was posted on Tuesday, August 12th, 2014 at 1:20 am	and tagged with Melville Estate, Melville Winery, Santa Barbara, santa rita hills and posted in Wine. You can follow any responses to this entry through the RSS 2.0 feed.